Pagekit is a new CMS developed by YOOtheme, a company that has been creating themes and extensions for Joomla and WordPress since 2007. It is a modular and lightweight CMS built with Vue.js and Symfony components. On the code level, nearly everything is a Module object: the theme, extensions, widgets and the core functionality itself. This keeps code complexity to a minimum and allows developers to work with the same concept in many different places. The great thing about this CMS is the fresh user interface that is inspired by Google’s Material Design. 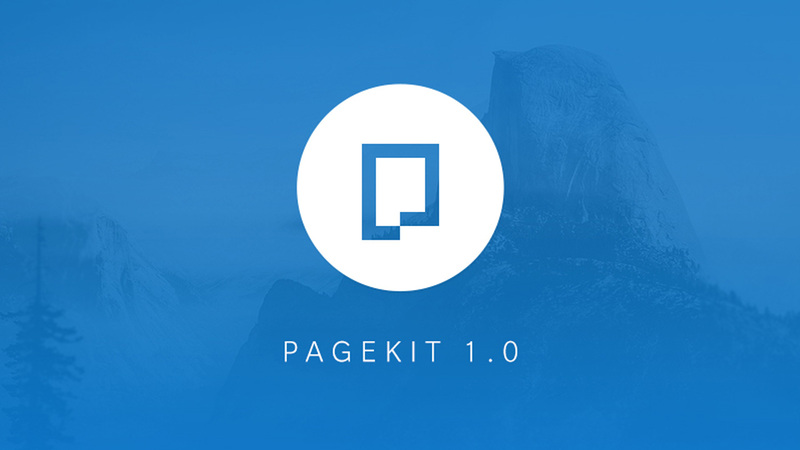 Its lightness, simplicity, and beautiful user interface makes working with Pagekit a true delight. If you’re looking for a lightweight CMS especially for blogging, you can check out Jekyll.